Photo by Jean Potter • This Northern wheatear caused great excitement in the Tennessee birding community with an extended stay at a farm in the Volunteer State in November. A little bird caused a huge stir among birders in the Volunteer State back in November. 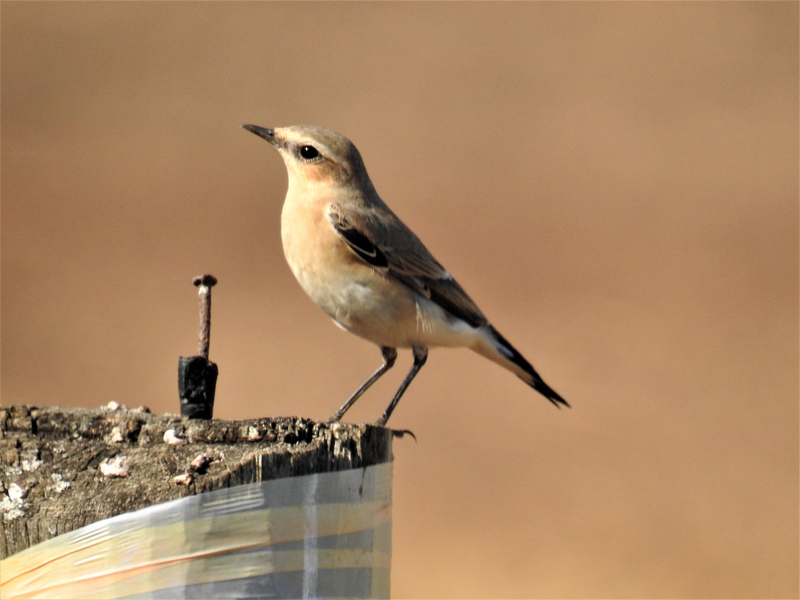 A Northern wheatear — a six-inch-long bird that breeds in open, stony terrain across the Northern hemisphere from Asia and Europe as well as northwestern and northeastern Canada, Alaska and Greenland — made a most unlikely migratory stop at a farm in Loudon County, Tennessee, supposedly en route to its wintering grounds in Africa. The visiting songbird turned out to be the first of its kind ever documented in Tennessee. Credit for the discovery of the bird goes to Tony King, a birder who hails from Lenoir City, Tennessee. He found the bird at Windy Hill Farm, a privately owned agricultural enterprise in Loudon County. After seeking confirmation from other experienced birders, King put out the word about his rare bird. Almost immediately, birders flocked to the Loudon County farm — with the gracious permission from the farm’s owners — for a chance to see a bird not often glimpsed in the Lower 48 states. 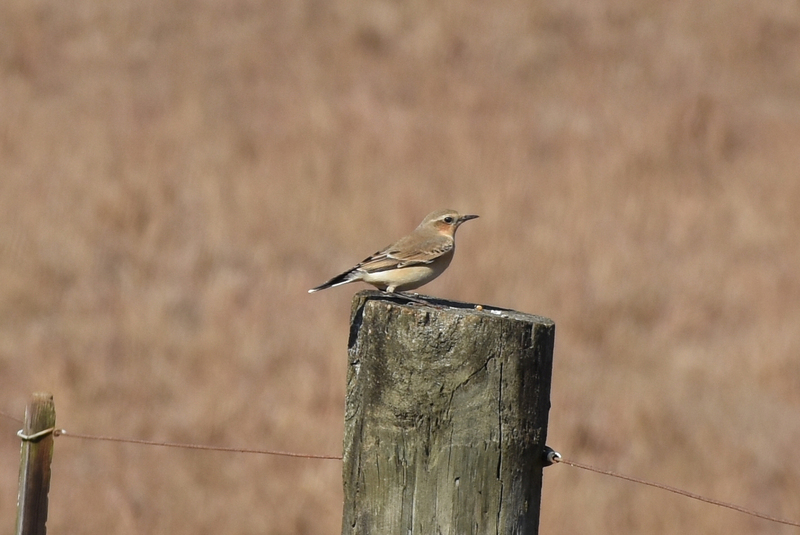 Birders who saw the wheatear observed the bird actively feeding on the ground and perching on fence posts. Several members from the Elizabethton and Bristol bird clubs made the journey to Loudon County to add the wheatear to their state list for Tennessee and, for many individuals, on life lists of birds seen nationwide. Photo by Jean Potter • The Northern wheatear at the Loudon County farm spent much time perched on fence posts. The wheatear is a truly long-distance migrant, but it’s difficult to speculate why this individual bird’s journey took it far enough off course to land in Tennessee. My schedule didn’t permit me to immediately try to add this bird to my own life list. I made plans to make the trip on Nov. 23 as part of my Thanksgiving break. 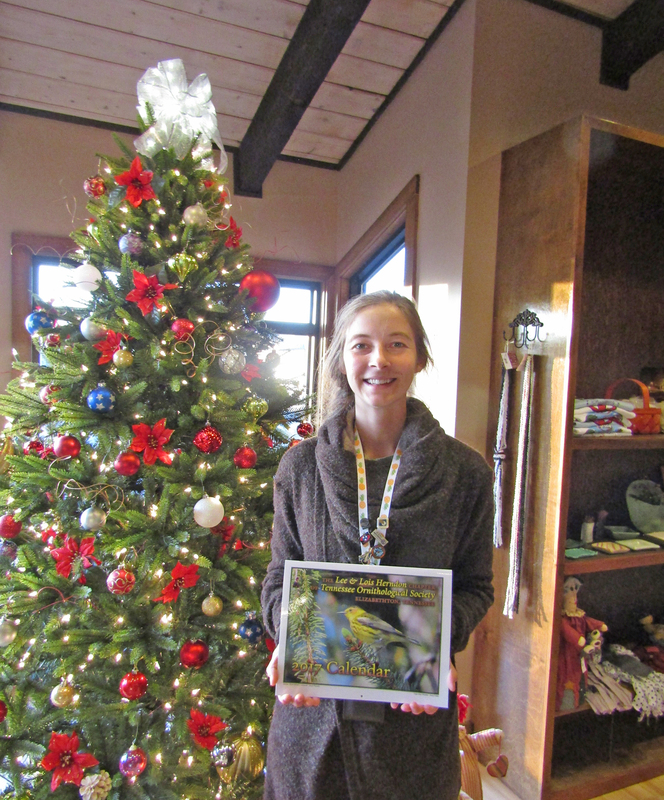 Unfortunately, the bird departed on Nov. 20, hopefully to continue its long journey to Africa for the winter months. The wheatear got me to thinking about the way determined birders “chase” rare birds to add to their life lists. Some people are quite dedicated — or fanatical — to pursuing reports of rare birds to the point they will drop everything to chase down coveted birds. Adding to the thrill of the chase for birders in Tennessee was the fact that a couple of days after the wheatear departed, a Bohemian waxwing became another “first” for its kind in the state. Unfortunately, that bird apparently didn’t stick around. It’s fun to speculate their reasons, but finding the motivation among our feathered friends can be an exercise in futility. I have my own motto about these rare visitors. Birds have wings, and they know how to use them. It’s that ability to pick up and fly to distant places that is part of their appeal. I understand the appeal of chasing after a rare or hard-to-get bird. I’ve chased my share of birds. I achieved a long-held desire to see a snowy owl when I made the trip to Spring Hill, Tennessee, back in February of 2009. That’s probably the farthest I’ve traveled to observe a specific bird. In November of 2003 I made a shorter but ultimately unsuccessful trip to Knoxville, Tennessee, for an attempt at getting binoculars on a sage thrasher that had been reported. 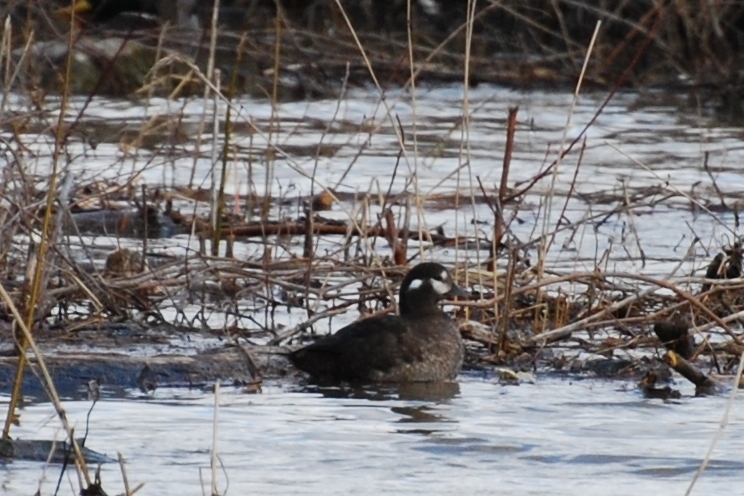 Although I spent several hours with dozens of other birders looking for the bird, it never put in an appearance. Photo by Bryan Stevens • The rufous hummingbird is one of several hummingbirds native to the western United States that has ventured into Tennessee on occasion. My most memorable “rare bird” — and one that I chased across state lines — was a green-breasted mango, a tropical species of hummingbird. I saw that bird while it was visiting a feeder at a home in Concord, North Carolina, in November of 2000. The species is known to stray into southern Texas, but appearances outside of the Lone Star State have been rare. This hummingbird is normally found in Mexico and Central America, but in addition to the Concord bird the species was documented in Beloit, Wisconsin, back in September of 2007. The Wisconsin bird was captured and taken to a zoo because of fears it would not survive the onslaught of the frigid Wisconsin winter season. Another personal miss — and I should kick myself for not making an attempt at seeing this bird — was a hooded crane that visited Hiwassee Refuge in December of 2011 and January of 2012. The hooded crane, a rare species from Asia, was associating with the thousands of sandhill cranes that regularly gather at the wildlife refuge near Brentwood, Tennessee. I’m quite proud of the four hummingbird species on my Tennessee list. 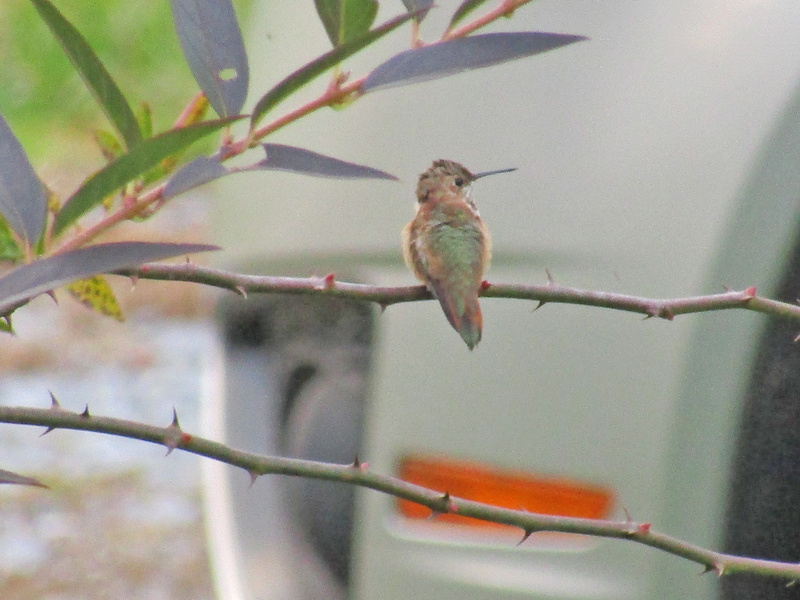 I traveled to Nashville, Tennessee, in December of 1997 to see a calliope hummingbird. Closer to home I’ve seen Allen’s hummingbirds and rufous hummingbirds, and, of course, ruby-throated hummingbirds. One pertinent bit of information about the Northern wheatear is in order. The wheatear is not a rare bird. In fact, the bird is quite common with an estimated population of almost three million birds. The same is true of many of the “rare bird” sightings that excite birders. Some of these exceptional visitors are often not considered rare. The rarity comes from the bird showing up in a totally unexpected location, such as a Northern wheatear spending a week at a Tennessee farm. That’s why an American white pelican at Middlebrook Lake in Bristol, Tennessee, a harlequin duck on the Holston River in Kingsport, Tennessee, and a Northern redpoll in Shady Valley, Tennessee, can quickly generate excitement in the birding community. Photo by Jean Potter • This harlequin duck was a remarkable find a few years ago on the Holston River in Kingsport, Tennessee. Most experienced birders offer one bit of advice — don’t delay. They’re words to take to heart for those seeking to chase after rare birds. In other words, if you snooze, you lose. My friend, the late Howard Langridge, was of that persuasion. In January of 2000, Howard tried to persuade me to ride with him from Elizabethton to Shady Valley in the midst of a raging snowstorm for the opportunity to see a long-eared owl. I declined. Howard made the trip, regardless of the snow and ice. As a reward, he saw the owl at the home of John and Lorrie Shumate. After the storm passed, Howard accompanied me and Allan Trently to Shady Valley on a night when the mercury in the thermometer hovered at around zero. Almost needless to say, we didn’t even glimpse a feather of the long-eared owl. The owl’s stay at the Shumate home proved quite brief. Of course, that’s all part of the thrill of the chase. You see some, but some you don’t see. It makes the birds that you do see even more memorable. Photo by Bryan Stevens • Kayla Carter with the Elizabethton Chamber of Commerce displays one of the calendars being sold by members of the Elizabethton Bird Club. The Lee and Lois Herndon Chapter of Tennessee Ornithological Society, based in Elizabethton, is once again offering for sale its annual calendar. All proceeds from sales of the 2017 calendar benefit the chapter’s work to promote birds and birding. This year’s calendar features nearly 100 full-color photographs. Calendars are $15. They are currently available at the Elizabethton Chamber of Commerce. In addition, for another $2 for shipping and handling, a calendar can be mailed. To reserve a copy, email me at ahoodedwarbler@aol.com or message me on Facebook. This entry was posted in Birding, Birds, Northern Wheatear, Rare birds, Tennessee Rare Birds, Winter hummingbirds and tagged Birding, birds, Birdwatching, Bristol Herald Courier, Bryan Stevens, Carter County Compass, Elizabethton Star, Erwin Record, Feathered Friends, Hummingbirds, McDowell News, Northeast Tennessee, Northern Wheatear, Our Fine Feathered Friends, The Erwin Record, Winter birds on December 18, 2016 by Bryan Stevens.